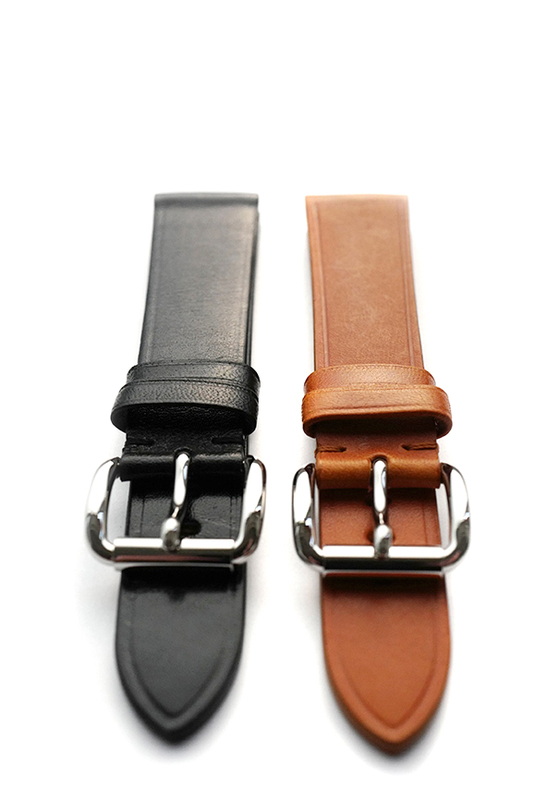 The Monoposto strap is hand made in the USA from Italian bridle leather. Featuring hand-tooled details and painted edges, this robust strap and polished roller buckle is inspired by hood straps used to tie down the bonnets of racing cars at high speed. Note: The Cognac leather is not the same color as the Biscuit leather strap supplied with the Monoposto Azzurro dial. It is several shades darker.